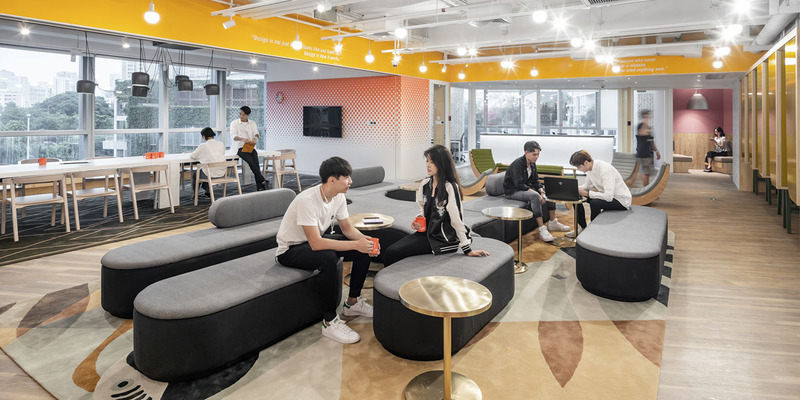 SOHO 3Q’s foray into Shenzhen’s co-working market comes in form of the company’s first location in trendy sea-side district Shekou. Young, bustling, and teeming with energy, Shenzhen evolves dramatically and rapidly, inspiring the team to go with a regionally-inspired theme which reflects not only the dreamy ideals of the climate but the local spirited lifestyle. The client-side requirement was that the space feel invitingly cool and contemporary with a touch of luxury. For this, conventionally SOHO 3Q materials such as custom wallpaper, fabrics and wood paneling were supplemented with polycarbonate fittings with brass trimmings, wooden lamellas, and statement chandeliers. The main challenge lay in localizing the SOHO 3Q layouts for the local professionals’ productivity and working needs, which are understood to be different from those of professionals in other regions. 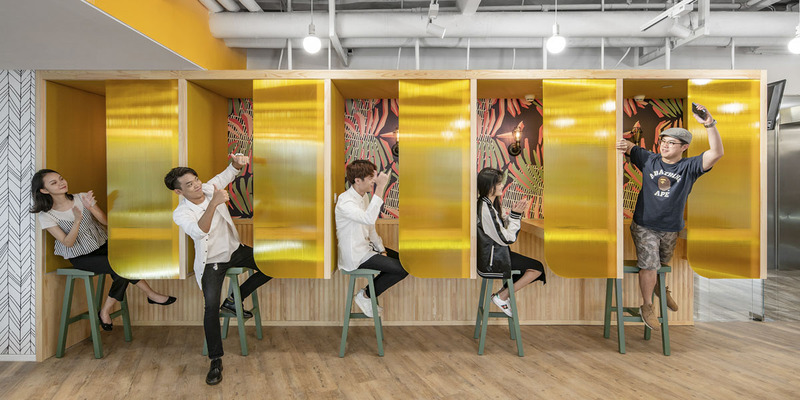 Highlights include new design elements such as bright and compact phonebooths and jigsaw sofas; the vivacious tropical color themes across the 3Q make the space appear youthful and energizing.